Another trip to the movies was improved by wine. That seems to happen to me a lot, I'm told. It could be that everything is improved by wine, or it could be that movies generally need a little added excitement. Maybe I'm just lucky. We found ourselves at the mall on Pico again, with tickets to see "The Company You Keep" and "Trance." There was just enough time in between for a bite and a drink. We'd had a good experience at Westside Tavern before, so it didn't even need to be discussed. The specials: Lobster Cobb and short rib grilled cheese. It's a go. Flipping open the menu to quickly choose a glass of wine, I see the phrases "Chenin Blanc" and "Santa Ynez Valley" adjacent to one another. I'd better investigate this. Our waiter tells me the Gamling and McDuck wine is "made by our head bartender, he's right over there." The waiter motions to the bar behind him and across the room. "He and his brother and his brother's girlfriend all collaborated on it. The name of the wine is their nicknames, or something." He later brought me the bartender's card. Since he wasn't too busy, I stopped by to do a mini-interview with Dan McClary (right). As it turned out, the other two-thirds of the company - Gabrielle Shaffer and Adam McClary - are in Napa. "They are the winemakers," said Dan, "I write checks and act as the Los Angeles face for the wine. We get our grapes from different sources. The Chenin Blanc is from Jurassic Park Vineyard, out in the eastern end of the Santa Ynez Valley. We used Napa fruit for our Cab Franc." In an email, Adam McClary told me that Gamling and McDuck is something he and Gabrielle do on the side. "She's the Viticulturist at Stagecoach, and I make wine and manage a boutique Calistoga winery called Lava Vine." Oh, those nicknames? They are their pet names for each other. Adam explains, "She was in a secret spy club with her neighbor when they were 5 years old, and her secret spy name was Galadrielle Gamling, which I found to be adorably precocious, and she became a Gamling. I'm McDuck because ... I evidently waxed poetic about Scrooge McDuck's detailed lineage. Gabe just started calling me McDuck." So there you have it. Their sense of humor bleeds over into the company's website. It shows tasting notes like "The clean, white vinyl interior of Wonder Woman's invisible jet" and "The urge to tell the truth." I must confess I get neither of those elements, but I still find plenty to like. 2013 will be the trio's fifth vintage of Gamling & McDuck. They started with 150 cases produced in 2009, and will make about 800 this year. The Gamling and McDuck Chenin Blanc, Santa Ynez Valley, Jurassic Park Vineyard 2011 is poured for $14 by the glass at Westside Tavern. Suggested retail is $22. Alcohol content is quite low, at 12.8% abv. A greenish tint emanates from the glass while a bountiful nose full of herbal and mineral aromas assures me that I made the right order. Green melon and minerals appear as the dominant smells. There is a hint of lemongrass in the bouquet, along with a trace of caramel. The olfactory show alone is worth the price. The mineral-driven palate shows citrus - lime and lemon jump out at me - and the acidity is zippy. The full mouthfeel lends itself to pairing with comfort food and any sort of seafood. The oak effect is very well played. I imagine it is responsible for the caramel on the nose and the butterscotch note on the palate. This wine spent seven months in neutral French oak, on the lees. Illinois wine has its roots in the mid-1850s, when Concord was the big grape. After Prohibition, it wasn't until 1936 that the Prairie State got its first bonded winery. Even so, the Illinois wine industry really didn't start moving forward with purpose until the 1980s. The Illinois Grape and Wine Industry report for 2011, found at the Illinois Grape Growers and Vintners Association, shows an estimated 175 commercial vineyards in Illinois and over a thousand acres under vines. There were another 136 "hobby vineyards" of less than an acre each. Two thirds of Illinois vineyards are located in the southern half of the state. Their 105 commercial wineries produced 651,800 gallons of wine in 2011. The report states that 90 percent of Illinois grapes are grown for the purpose of making wine. Hybrids are the grapes of choice for Illinois winegrowers. Chambourcin is by far the most popular grape grown in the Land of Lincoln, representing twelve percent of the crop, followed by Norton, Frontenac, Foch, Chardonel and Vignoles. Nearly half of Illinois wines are made from whole grapes, but only 44 percent of those grapes are grown in Illinois. Says the report, "Fifty-one percent of Illinois wine is produced from grapes, bulk wine, juice and concentrates, and other non-grape fruits ... imported from other states." My thoughts immediately went to California, but two thirds of all out-of-state winemaking produce comes from Michigan (35 percent) and New York (31 percent.) California accounts for only ten percent. An interesting survey included in the report shows that 24 percent of Illinois vineyards have trouble with the Japanese beetle, and that's the leading pestilence problem, coming in ahead of birds, black rot, deer and racoons. The Illinois Sparkling Co. makes five sparkling wines, all in the traditional method used by makers of bubbly in a far away place called Champagne. 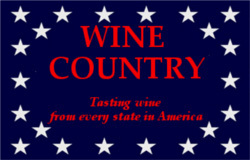 They use 100% Illinois-grown grapes and the wine is handcrafted at the winery in Peru, Illinois, in the northern part of the state west of Joliet between I-80 and the Illinois River. Winemaker Mark Wenzel also toils in the vineyards and cellar for August Hill Winery. He hopes to put Illinois sparkling wine on the map after spending years on research, trials and getting advice from Champagne producers. ISC was kind enough to provide me with two of their sparklers for review. This is a tip of the hat to the French Hybrid grapes used by Illinois Sparkling Co., the grapes they say are “fondly known as ‘frankenvines.’” A white sparkler made in the brut style from the red Chambourcin grape, this blanc de noir hits 12.5% abv with a dry 1.25% residual sugar. The Illinois Chambourcin employed here comes from Two Oaks Vineyard in Benton , IL. The wine is golden in the glass with a white layer of bubbles that dissipate rather quickly. The nose offers a toasty show of bananas and earth. The palate has citrus, cranberry, apple and a healthy zap of acidity that leaves a refreshing feel in the mouth. It's a hit with roast chicken or a handful of almonds. The sec style is put to work in this wine, which means it is dry. Not as dry as brut, but not as sweet as doux. In Riesling terminology, it would rate "semi-sweet" on the sweet-o-meter. The residual sugar hits 2.3% and the alcohol is restrained at 12.5% abv. Illinois La Crescent grapes from ISC Estate Vineyard in Peru IL are the big show here, with some Frontenac Gris used in dosage. This very pale sparkler's bubbles hang around on the rim a good, long while. A subtle nose of apples and citrus leaves no surprise that the flavors are dominated by apple and lime. There's only a hint of fresh bread on the palate, while the wine tends toward the sweet side without going over it. A faint earthiness in the bouquet is hardly noticeable in the taste. This is a great example of the sort of good things being done in America with the La Crescent grape. The suggested pairing with spicy Thai or Mexican cuisine sounds like a winner to me. I didn't try these two, but their I.S.C Brut has 12.5% abv with only 0.8% residual sugar. It's made from 100% Illinois St. Pepin grapes from Hieland Hills Vineyard in St. Anne, IL. Dollface is a demi-Sec rosé at 12.5% abv and 3.3% residual sugar. Its grapes are Illinois Frontenac also from Hieland Hills Vineyard. It’s now the season that makes wine lovers think pink. I like having rosés year-round - they go great with Thanksgiving leftovers, are well-suited for holiday entertaining and make waiting for the Groundhog seem less annoying. But the freshness and flavor of rosé wines certainly makes them a go-to choice for spring and summer. Whole Foods Markets in Southern California have rosé gardens in them - places where you can pluck delightful rosé wines from the shelves, place them carefully in your basket and take them home to help make the spring and summer even brighter. The WFM wine folks say these wines will be available through June 2013 at Southern California stores. Whole Foods Market has worked with a number of Central Coast vintners in recent years to produce special wines for their customers in Southern California. You see two Central Coast efforts on the list above - Hitching Post Pinks and One Wine Ampelos Rosé. I was offered a bottle of the One Wine Ampelos Cellars Rosé to review for this article, which is a task at which I was happy to slave away over a period of several sittings. I have long been a fan of Ampelos wines, and I was excited to find that Peter and Rebecca Work had been commissioned to create a rosé for WFM’s One Wine series. It is a limited-edition wine, with only 388 cases produced. Warm and cool climate Syrah from Santa Barbara County make up this rosé, with a bit of dry Riesling and Grenache blended into it. The blend is 76% Syrah from Cuatro Vientos Vineyard and Ampelos estate vineyard, 18% Grenache from Vogelzang and Ampelos Vineyards and 6% Riesling from Rancho Sisquoc Vineyard. The percentages are very close to those of their own Ampelos Rosé of Syrah. Most of the Syrah grapes are picked three or four weeks earlier than the harvest for red wine. The alcohol comes in at a perfectly reasonable 13.6% abv. The wine is beautiful as it sits in a glass or a carafe - or simply in the clear bottle in which it is sold. It's a gorgeous, rich, salmon pink color - a fairly deep tint. The nose gives earthy strawberry and cherry scents with a green bit of an herbal aroma. It is the sort of bouquet I always hope for in a rosé. The palate, too, is alive with red fruit flavors - also earthy, but candy-colored in a way that reminds me of Pixy Stix, or at least I think that's what those fruit-powder-filled straws of my childhood were called. The acidity is just fine for pairing with a favorite salad out on the deck, but it's also a great wine to sit and sip while the sounds of spring and summer lull you into a restful time in your favorite outdoor chair. Wake me for a refill, will you? Little, out-of-the-way restaurants that serve good food are a great find anywhere, but particularly in large cities. Dining at the latest trendy hotspots in Los Angeles is getting mighty pricey, and the more television shows on which the chef or owner appears, the more it will cost when the check comes. Little mom-and-pop places are particularly attractive to me for their wine lists. There always seem to be a wine or two that look very interesting - and they are often priced nicely as well. On a recent trip to the Westside to see a film at the Aero Theater in Santa Monica, we stopped in to an Indian restaurant across the street, Pradeep's. Good food, good prices, and great spices. I scanned the wine list, although I find Indian restaurants can usually do a much better job of selecting their wines. The whites all seemed pretty run-of-the-mill, but the red side offered a Paso Robles Cabernet Sauvignon that tempted me. The glass of J. Lohr Seven Oaks Cab is served in the fashion I often find in Indian restaurants, in a tiny glass which is filled to the rim. The wine's composition is 76% Cabernet Sauvignon, 12% Merlot, 5% Petit Verdot, 4% Petite Sirah and 1% each of Syrah, Cabernet Franc and Malbec. After stainless steel fermentation, it is aged in toasted American oak barrels for a year. The alcohol content is a bit low for Paso - just under 14% abv. The soil of the Seven Oaks vineyard on the J. Lohr estate is made up primarily of gravelly clay with some limestone-based soil. According to the winery website, 2010 was the coolest vintage in Paso Robles in ten years, with winter rain about 50% above normal. The winery stopped irrigation of the vineyard in mid-June, expecting a three to five week period before starting the water again. As it turned out, their vines didn't start to struggle for two months. They credit this strategy with adding intensity to the flavor profile of this blend of mainly Bordeaux varieties. It's a deep, dark red color with a nose that's rich with fruit. The cherry and raspberry flavors are indeed quite intense. The palate is fruit forward with a mocha note edging its way into the scene. Minerals are very noticeable, the tannins are nice but not in the way and a lingering flavor of mint colors the finish. Is it good with Indian food? Nice, because the oak treatment isn't monstrous and the tannins aren't extremely sharp. The wine settles in very well with the spices of the alu gobi. The J. Lohr Seven Oaks Cab is $9.50 by the glass at Pradeep's and is listed by the winery at a retail price of $17. April 17th is World Malbec Day and, for a change, I’m ready for it. Yesterday I was in good company at the tony Los Angeles eatery Lucques, on Melrose, for a luncheon event put on by Wines of Argentina. Our host, Master Sommelier Tim Gaiser, briefly shared the floor with Nora Favelukes, of Wines of Argentina, and The Honorable Cristina Vallina, the Consul General of Argentina in Los Angeles. I told you the place was classy. Gaiser tasted the crowd through fourteen great and varied Malbecs from Argentina in fine style. World Malbec Day doesn’t really celebrate Malbec worldwide - it commemorates the introduction of the French grape into Argentina. In 1853, April 17th was the day the governor of Mendoza reshaped his country’s wine future by asking Frenchman Michel Pouget to bring some new vines over to try out in Argentina. Malbec was one of those vines, and the rest is history. Now known more as an Argentine variety than a French one, Malbec is Argentina’s grape of choice. This event was the only one to mark the day on the West Coast, but Favelukes commented that their tour included seven events in five states. Gaiser, perhaps overcome by his allegiance to the San Francisco Giants, compared Malbec to baseball. He said, “Whatever you do to it, you can’t change its soul.” That, he said, is probably why the grape was used as a blending variety in the Rhône Valley at one time. He swears that Malbec is as good as any Bordeaux grape at expressing its terroir. 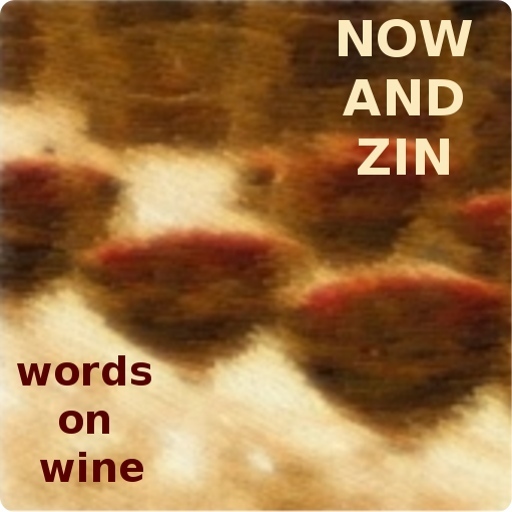 Gaiser’s comments were quite informative, but he wisely let the wines do most of the talking. Chef Suzanne Goin presented a truly wonderful lunch for pairing with the Malbecs that were poured. Upon entering Lucques, I was handed a rosé, Finca Las Nubes Rosé of Malbec, of course. After lunch, it stood as one of my favorites. This wine is from the Salta region, in the northern part of Argentina, and is made by one of the most respected winemakers in the country, José Luis Mounier. He’s known as “Mr. Torrontes” in his homeland, but he certainly knows his way around Malbec. The rosé has a very deep red tint and includes a 10% splash of Cabernet Sauvignon. The fruity nose is almost perfumed, while the bright acidity reflects the lack of oak. Strawberry, cherry and cola notes drape a graceful minerality. All four of these wines come at a lower price point. Finca Flichman ‘Reserva’ Malbec - Blackberry, cherry, cranberry and black pepper aromas converge on a floral aspect on the nose. After a bit, caramel comes into play. The palate features tart fruit and minerals. The wine has great acidity. Bodega Lagarde Malbec - From the Lujan de Cuyo region of Mendoza, this wine is 100% Malbec. A lower elevation site, the fruit is ripe, the minerals are assertive and the tannins are smooth. Alamos ‘’Seleccion” Malbec - This is a wine many American diners are familiar with - it turns up on lots of wine lists, especially those dominated by lower price points. The floral nose with a smokey edge is beautiful. Ripe fruit and great structure make it winner with the lamb. Bodega Ricardo Santos Malbec - From the lower-elevation Maipu region, this wine sees French oak for six months. The acidity is the calling card here, it’s great. Flavors of red plums and cherries battle to a finish where a hint of raspberry comes forward. These four wines move up a bit in price, in the 20 to 40 dollar range. Finca El Origen ‘Gran Reserva’ Malbec - The hot, dry Uco Valley is home for this wine. It shows a beautiful nose of mocha and black cherry, with big tannins. Gascon ‘Reserva’ Malbec - Imported by Gallo, this Malbec has 3% Petit Verdot mixed into it. 60% of the wine is aged in French and American oak, while 40% is aged in stainless steel. It gets 15-18 months of ageing before bottling. A bit of funk shows on the nose, and it wears its minerals on its sleeve. Smooth tannins and a huge savory side put me in mind of France. Navarro Correas ‘Alegoría’ Malbec - One of the stars of the event, this wine is quite complex, with a savory, cranberry-laced nose and a palate that shows more of the same. Great tannins, a nice touch of oak and brilliant acidity make this the food-friendliest of all the food-friendly Malbecs offered here. At $18, it’s a steal. Bodega Domingo Hermanos ‘Domingo Molina M2 - Another 100% Malbec wine, this Salta product has 40% of its contents aged in French oak. The suggested retail price of $35 seems a little high after the Navarro Correas. Mocha and spice on the nose and a sleek, supple, mineral-driven palate certainly do deliver, however. The final wines allowed our hosts to break out the big guns. These are higher-end wines in which the complexity is turned up a notch. Nieto Senetiner ‘Nieto Terroir Blend’ Malbec - From the Lujan de Cuyo region of Mendoza, this 100% Malbec has a savory bouquet of mocha and dark fruit which is introduced by a big floral show. In the mouth, it’s very dry with great acidity and minerality. Salentein ‘Numina’ - A big floral nose with a hint of chocolate is an instant winner. The nice level of acidity and the streak of minerality come as a bonus. Luca ‘Beso De Dante’ - A $41 blend of 60% Malbec and 40% Cabernet Sauvignon, this wine is aged in French oak for 14 months. Quite ripe in the nose with great structure and fruit, this was a favorite of mine. It paired beautifully with the beef. Familia Zuccardi ‘Zuccardi Zeta’ - Minerals are the rule here, so much so that some at my table were a bit put off by them. Very dry. Renacer ‘Renacer’ 2008 - Another favorite here, this 100% Malbec was cited by Gaiser as one of the finest varietal representatives of the grape he has tasted. Aged 24 months in new French oak, the wine carries a staggering 15% alcohol number. The nose has it all - mocha, caramel, smoke, fruit, flowers and a box of chocolates. The fruit on the palate ranges seamlessly from blackberry to raspberry to a cranberry/mocha finish. The acidity is refreshing and the tannins are just about perfect. It didn’t beat out the Luca for pairing with the beef, but it was a delectable sip and complemented the dessert cookies perfectly. I generally stay away from wines which bear a formulaic name like this one does. I don’t remember who characterized this type of wine naming, but it seems to be most popular on wines produced in Modesto, California. The idea is to have a two-word name, the first word being an iconic symbol and the second being a natural reference. It could be Rabbit Run, Cauliflower Gully, Cedar Brook, Forest Glen or Black Mountain. In this case, it’s Redwood Creek, a part of the Gallo empire. Winemaker Cal Denison - an outdoorsy-looking fellow - has crafted a reasonably nice Chardonnay with an unfortunately nondescript name. I enjoyed a glass of it at the Callender’s Grill on Wilshire Boulevard. I tend to show up there quite a bit, not because its such a great bar, but because it’s geographically convenient. It’s just down the street from my favorite Starbucks, which has become an office-away-from-home for me. It is one of the cheaper wines on the Callender's list, but it’s pretty good for the $5 happy hour price. Much appreciated is the good pour from the longtime bartender there. The wine is medium full in the mouth - brisk and refreshing, actually. A light acidity is just enough to provide a spark, but not enough to bite. Tropical fruit and lemon peel come forth on the nose, while the palate shows pears and a bit of citrus with a hint of green apple. The oak is not at all overdone, something that is unusual in a cheap wine. Lots of oak is no substitute for good grapes. While this wine won’t be giving anyone thrills and chills, it’s a solid effort at a lowball price point. If you try just a little bit, you can probably find it in a supermarket for five or six bucks. The hotter the day, the better it will taste. 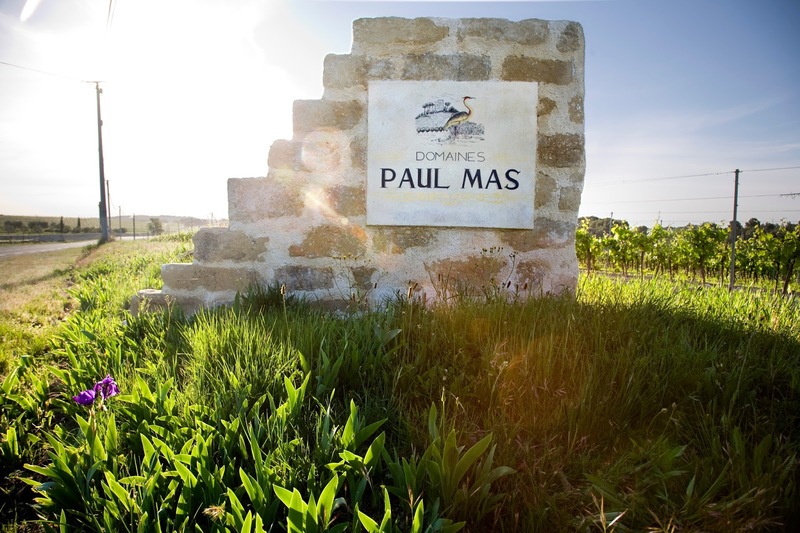 The Paul Mas estate was founded in 1892, and over the years they have expanded their holdings in the Hérault Valley, in the Languedoc region in the south of France. They now have 2400 acres under vines. Jean-Claude Mas is in charge these days. He is a fourth generation winemaker who helped his father and grandfather at the age of three. All three of the wines tasted here are from the Paul Mas Estate Single Vineyard Collection, and all three exhibit the characteristics of their unique terroirs. This unoaked, 100% Chardonnay retails for $14 and carries a 13.5% abv number. The grapes hail from Mas's Saint Hilaire Vineyard near Limoux, in the foothills of the Pyrénées mountains. It's a straw colored wine with a yellow-green tint and a lovely nose of subdued, sweet tropical fruit, pears and peaches. A streak of minerality runs through them all. The palate shows a fruit plate with a savory edge. Honeydew, cantaloupe, orange, green apple and pineapple flavors are laced with slate-like minerals. The acidity is not extremely bright, but there is a nice citrus zing and the sensation of wet stones that carry through the lengthy finish. One of my favorite grapes from the south of France is Picpoul de Pinet. This beautiful white wine is 100% Picpoul from the vineyard which lies along the Etang de Thau, which is said to be famous for oysters. limestone and red soils. It also retails for $14 and has a very manageable 13% alcohol content. A light golden color in the glass, this crisp white shows a nose of apples and citrus, followed by flavors of the same on the palate. Minerals play a huge role in this wine, with the lemon zest riding high through the finish. The limestone soil is apparent in this wine, with the mineral sensation of wet rocks in the forefront and a wonderful salinity on the finish. Pair with shellfish or any kind of seafood - it's made for that. This is a classic Rhône Valley blend of 35% Grenache, 35% Syrah and 30% Mourvédre. It's not, of course, from the Rhône. The grapes are grown in Les Crés Vineyard, in the pebbly soil of the upper Hérault Valley, protected by the Cévennes mountains. Twenty percent of the wine was aged in oak barrels for six months. It retails for only $16 and has an alcohol content of 14%. The wine plays its fruit against its funk, although I use the term "funk" mainly in an alliterative sense. The nose is half devoted to dark berries and half to a delicious savory aspect. The palate has blackberries and black olives dominating the flavor profile, with the savory tastes edging in front of the fruit. The three elements contribute equally here - fruity Grenache, spicy Syrah and dark Mourvèdre. It's a wine that will pair wonderfully with red meat or sharp cheeses. As good as the Paul Mas Chardonnay is, it is overshadowed by the edgy Picpoul de Pinet and the savory G.S.M. All three wines deliver a ton of quality at an easy-to-swallow price, and the whites are especially perfect for the season as the weather turns warmer. We were thinking of the recently passed Roger Ebert. We both respected him greatly for his social positions, although I must admit I always agreed more with Gene Siskel when it came to movies. While waiting for “Oz: The Great and Powerful,” the waiter/bartender in the Metallica t-shirt asked me what would make my day. I thought an Albariño would brighten the Saturday afternoon nicely, but Metallica told me they had expended their allotment of that grape. “Here’s another dry one,” he offered, pointing to the E. Guigal Cotes du Rhone Blanc on the daily specials list. “I don’t know how to pronounce it, but people say it’s good.” Well, who am I to argue with people? Eleven dollars by the glass? Bring it on, good sir. Congratulations on knowing your limitations, and may all your dreams be metallic. Domaine Guigal was founded by Etienne, furthered by son Marcel and now his son, Phillippe, represents the third generation toiling in the Côte Rôtie appellation of the Rhône Valley. The white Côtes du Rhône is a masterful blend of 55% Viognier, 20% Roussanne, 10% Clairette, 10% Marsanne and 5% Bourboulenc, all vinified in stainless steel tanks. The 2011 vintage of this wine clearly displays the limestone and granite soil of the estate. Wet rocks and minerals define the nose, almost to the exclusion of fruit - not that it's a bad thing. My wife says she can smell the French sunshine in it. I get lemon and a slight floral note on the nose and lime zest on the palate. The acidity is quite refreshing. I wish I had been able to have this at lunch with my calamari and scungilli salad. Forget Oz, Guigal was the great and powerful one on this day.